In recent times, mental health issues are growing rather alarmingly, but the taboo associated with the subject is not reducing at the same speed. Hence, people still feel awkward and apprehensive about seeking therapy and help with their psychological problems. When someone finally decides to visit a therapist, in most of the cases, they do not make much effort. Due to that, often people end up choosing Mental health counseling that is ineffective and sometimes can be dangerous. If you need therapy, then it is important to know about the signs of recognizing bad therapy. It seems as if the therapist does not hear you or are attentive enough or follow your narrative. Instead of getting support and comprehension, you are being judged and shamed for the problems you have. The therapist makes you feel inferior or small or insignificant in any way. An active response in the part of the therapist is crucial for your recovery. It’s time to re-examine the decision. If your Mental health counseling service provider does not respond accordingly. You are unable to trust him/her. The counselor is unable to understand your predicament. The sessions somehow end up focusing on the therapist, instead of you. The counselor tells you that the sessions and treatment are not working. 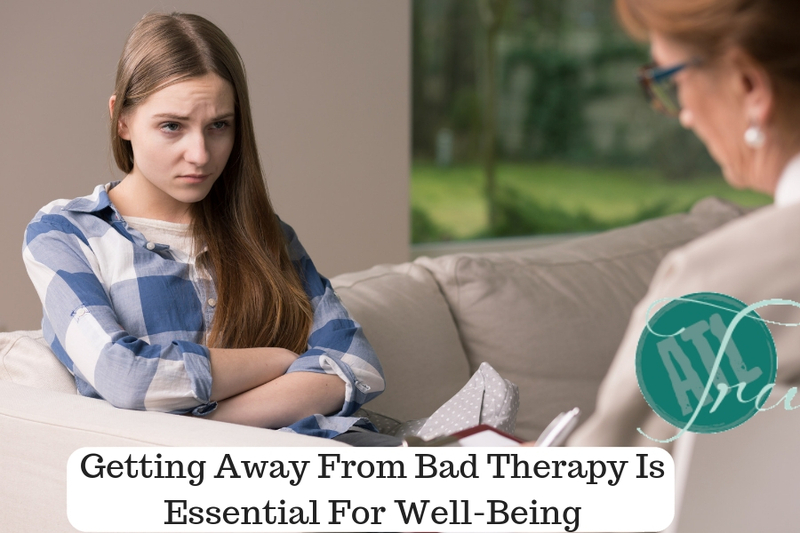 If your present therapist exhibits any of the above-mentioned signs, then it is quite clear that the therapy you are going through is not working and it is high time to end the treatment and look elsewhere. The Ways Of Getting Away – Now, it is time to think about breaking up with your therapist. It can be done in two different ways, but it is to be remembered that different situations require different approaches and you have to decide that. If you have only had a few sessions with the therapist and already feeling that things are not working, then telling them straightaway is the best choice. You can do that face to face at the end of your last session or send an email. Approach Number Two – On the other hand, if you have an established relationship with the therapist, then better planning and approach will be required. In such a case, you need to convey that, you do not need therapy anymore and if the person you are seeing any good, he/she will be able to understand. Being blunt and forward may not work well in such cases.